The Sacraments of the Church now continue the works which Christ had performed during his earthly life (cf. CCC, 1115). The sacraments as it were are “powers that go forth” from the Body of Christ to heal the wounds of sin and to give us the new life of Christ (cf. CCC, 1116). 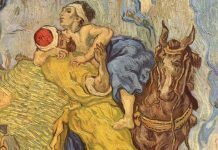 At that same conference, there was a time of Exposition of the Blessed Sacrament during which I experienced something akin to what the woman with the hemorrhage did. Jesus was carried in the monstrance through a crowd of more than 600 adults, and if you were close enough, you were invited to reach out and touch the humeral veil of the priest. I experienced a real sense of wonder surrounding Jesus and a personal longing to just touch him, reach out to him, and give praise and adoration to him. This was a moving experience for all those present — one example of lives that are not only devoted to the Eucharist but in love with Jesus Christ. How do we develop attitudes and form a Eucharistic culture in our parishes? 1. 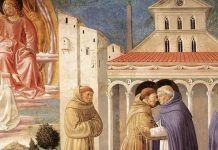 Understand the essential link between catechesis and the sacramental life. Liturgy without catechesis turns into hollow ritualism, and catechesis without liturgy turns into rationalism. 2. Cultivate opportunities where children, youth, and adults can spend time with Jesus in Eucharistic Adoration. Venerable Archbishop Fulton Sheen has a very inspiring story that can be found on the internet about an 11-year-old girl whose devotion to the Eucharist inspired him to make a personal commitment to spend an hour a day in Eucharistic Adoration. A Catholic church is more than simply a gathering space for public worship. It is a place of encounter with Jesus in the tabernacle on a round-the-clock basis. Our programs should not just talk about Eucharistic Adoration; they should help people experience it. 3. Try to link any lesson to the liturgy. As mentioned earlier, the liturgy is the place from which all the graces in the life of the Church flow (see CCC, 1074). For example, when talking about the commandments, we can connect them to the Eucharist by sharing that when we receive Jesus in Holy Communion we are given the grace we need to live God’s commandments. Or when talking about the Paschal Mystery, we might share how this is central to the Mass. One example is when the priest says, “The mystery of faith,” and we respond, “When we eat this Bread and drink this Cup, we proclaim your Death, O Lord, until you come again.” In that moment we are responding to what we have just witnessed — Christ becoming present on the altar. As a result, we respond by proclaiming our belief in this mystery of salvation. Connecting liturgy and doctrine in our catechesis helps us participate more fully in the mysteries we are celebrating. 4. When teaching about the liturgical year, bring people to the church. Show them the objects, symbols, and signs from the Eucharistic Liturgy, such as the sanctuary candle, altar, tabernacle, vestments, vessels, holy water, statuary, sacred art, and Stations of the Cross. A better understanding of what is regularly seen in our churches can draw them deeper into the sacred mysteries we celebrate throughout the liturgical seasons. … to give thanks, always and everywhere, and not only on certain occasions, when all is going well; second, to make of our life a gift of love, freely given; third, to build concrete communion, in the Church and with everyone. Thus, this central Prayer of the Mass teaches us, little by little, to make of our whole life a “Eucharist,” that is, an act of thanksgiving. 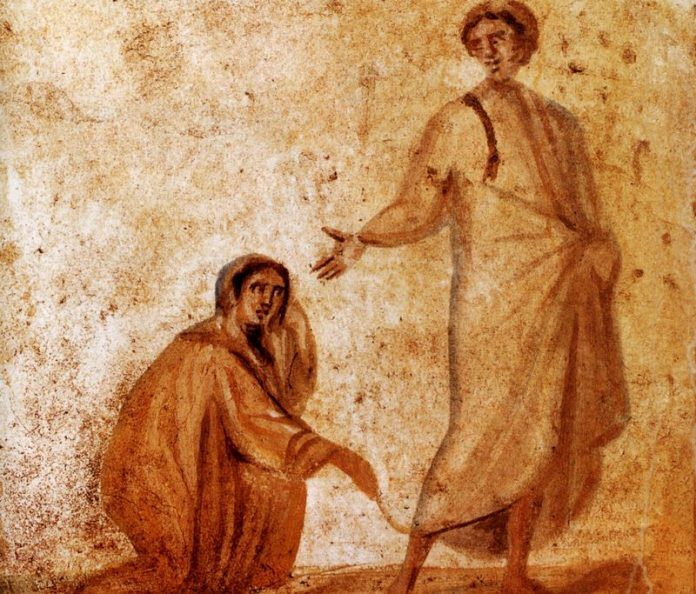 Our catechesis should constantly draw people into God’s life and inspire us to respond to him. [T]he Church and the world have a great need of Eucharistic worship. Jesus waits for us in this sacrament of love. Let us be generous with our time in going to meet Him in adoration and in contemplation that is full of faith, and ready to make reparation for the great faults and crimes of the world. May our adoration never cease. May our catechetical efforts foster a Eucharistic culture where we are brought more deeply into Christ’s presence and rely on him as our source of strength and joy. William O’Leary lives in Kansas with his wife and three children. He is the Director of Religious Formation for a large parish in Overland Park, Kansas. Over the last 20 years, his work in pastoral ministry has explored ways to draw parents and their children into the practice of their faith. His blog is RelevantCatechesis.com. 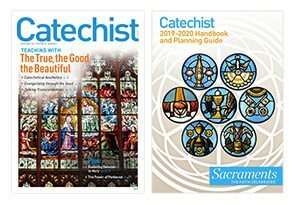 Next articleNominations for Catechist Honors 2020 now open!